Universal Studios Hollywood has debuted a series of virtual tour videos showcasing the Spring 2016 opening of The Wizarding World of Harry Potter, beginning with this month’s insider’s look at the land hosted by the Hogwarts Express conductor. The video, which can be viewed at Universal Studios Hollywood’s newly launched The Wizarding World of Harry Potter interactive website and here, will highlight some of the land’s best-known shops and eating establishments, including Ollivanders wand shop, Three Broomsticks and Honeydukes. 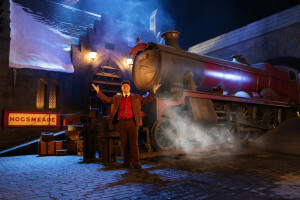 More than five years in the making, and inspired by J.K. Rowling’s compelling stories and characters that were brought to life in the Warner Bros. films, The Wizarding World of Harry Potter will be masterfully recreated with impeccable detail as a real world interpretation at Universal Studios Hollywood. The Wizarding World of Harry Potter will be faithful to the visual landscape of the fiction and films, including Hogwarts castle which will serve as its iconic focal point. 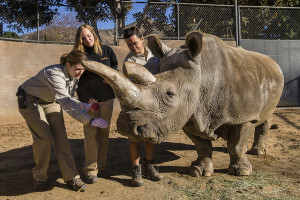 While Nola, a critically endangered northern white rhino who died Nov. 22 at the San Diego Zoo Safari Park, is still being mourned by those who worked closely with her, as well as people from around the globe, scientists at San Diego Zoo Global are focusing on how Nola’s contributions to science could eventually help save her species from extinction. Taking a science-based approach, Oliver Ryder, Ph.D., director of genetics; Barbara Durrant, Ph.D., director of reproductive physiology; and their teams at the San Diego Zoo Institute for Conservation Research Frozen Zoo — along with collaborators at Scripps Research Institute in La Jolla and at the Institute for Zoo and Wildlife Medicine in Berlin— are working to develop and perfect assisted reproductive technology to save the northern white rhino from extinction. During this joyful season of giving, Universal CityWalk and NBC4 Southern California are collaborating to present the first-ever The Wishing Tree event, inviting the public to pay it forward by making a wish for someone deserving. 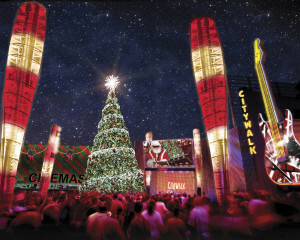 From now through Tuesday, December 22, Universal CityWalk visitors may place their wishes for friends and family next to the decorative trees adorning Universal CityWalk’s 5 Towers plaza. NBC4 viewers can also share their wishes at www.NBCLA.com/wishingtree. Wishes will be granted live weeknights from December 9 – 23 during the NBC4 News at 5 p.m. and 6 p.m. from Universal CityWalk with longtime NBC4 Weathercaster Fritz Coleman. 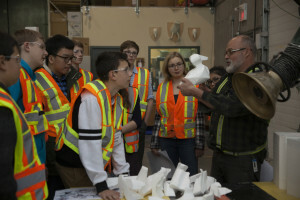 WhiteWater is the perfect place to showcase the variety of career options open to kids because making amusement park rides, water slides and designing water parks involves architects, designers, engineers (structural, mechanical and electrical) as well as project managers, all types of manufacturing and trades, finance teams and sales and marketing. Representatives from the many areas talk about the path they took to end up in their role and how it rarely is a direct route. From the product engineer that started in IT sales to the accountant that was formerly a plant manager, they see careers are a journey, not a point A to point B process. WhiteWater outlines co-op and apprentice opportunities alongside University degrees as ways into these jobs to show a successful career has many routes. With the flick of a switch that illuminates a dazzling wonderland, L.A. 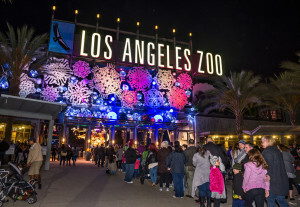 ZOO LIGHTS returns bigger, better and even more spectacular as it heralds a new standard for nighttime magic at the Los Angeles Zoo from Friday, November 27, 2015, through Sunday, January 3, 2016. With awe-inspiring features providing a brand-new spin on holiday lights in Griffith Park, L.A. ZOO LIGHTS sets the Zoo’s enchanting environment aglow with breathtaking displays, among them thousands upon thousands of LED lights, flurries of illuminated snowflakes, stunning 3-D animated projections and glittering light tunnels. A fanciful menagerie of animal characters include mischievous animated monkeys scampering through the grounds, a glowing 130-foot snake coiled on a roof, a hillside with snowboarding “lizards,” 3-D animated elephants wearing colorful holiday sweaters, an origami-type rhino lit from within and so much more. L.A. ZOO LIGHTS is open every night, except Christmas Eve (December 24) and Christmas Day (December 25), from 6 to 10 pm Mondays through Thursdays, and 6 to 11 pm Fridays through Sundays and December 21 through 23.